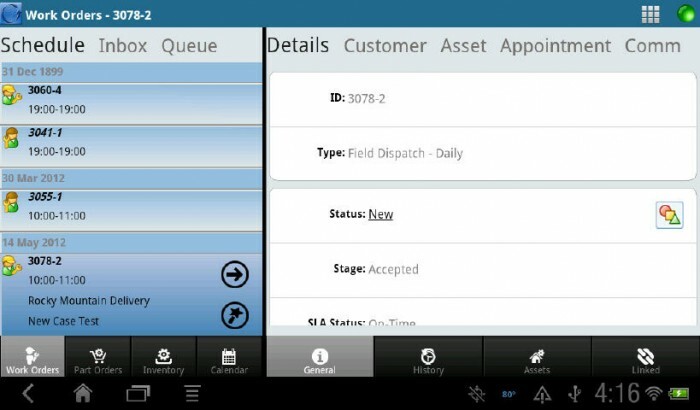 This field service app works on Android and iOS devices. GoServicePro’s Mobile Field Service App puts the power in your field technicians’ hand. Built on a store and forward architecture, your techs have access to their data whether they are in a basement, a hospital, or servicing remote locations. The mobile application currently supports major device platforms such as Android, Apple’s iOS. Tablet optimized versions of the mobility application take advantage of the extra real estate provided by tablets. For more information, visit our blog or use the form below to request a free, live demonstration.